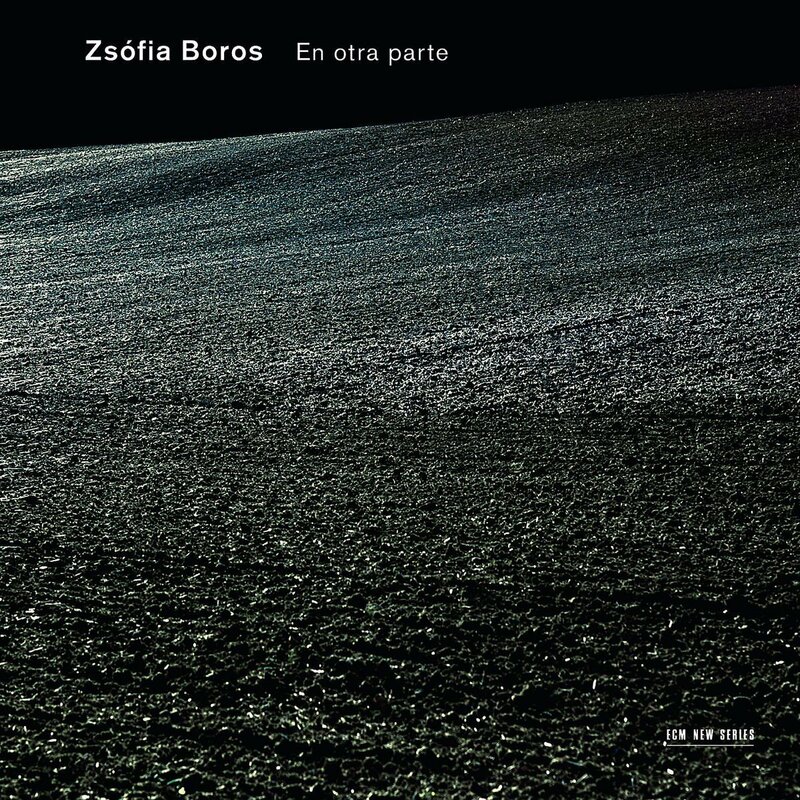 Hungarian guitarist Zsófia Boros is a revelation. Having found in ECM an ideal venue for her playing, she is able to unfold her wings in quiet strength. 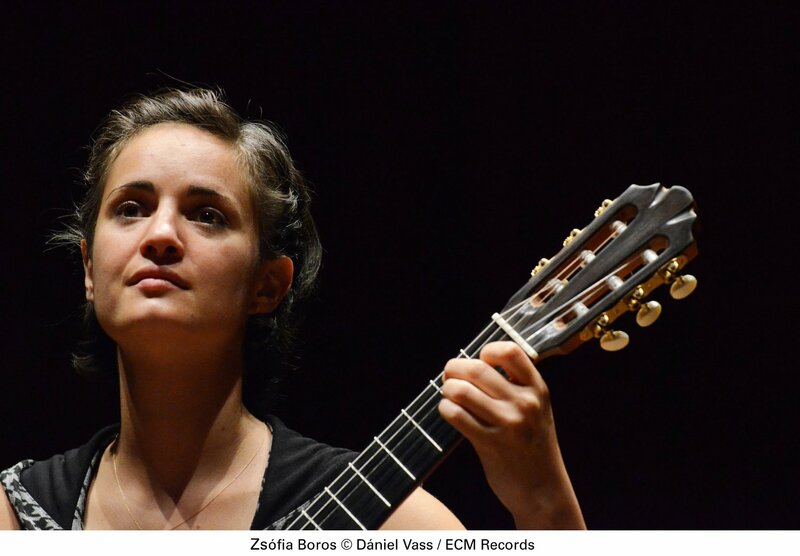 Perhaps taking cue from Cuban composer Leo Brouwer, who saw the guitar as a boundless orchestra and whose music is prominently featured in her debut program for the label, Boros plays her instrument as if it were a piano. Each finger is independent of the others, but connected by a network vaster than the sum of its parts. The shorter pieces of the program are also its deepest, and include the gorgeous faceting of Brouwer’s “An Idea,” the very simplicity of which allows Boros’s expressive gifts to shine. The same holds true for “Ecrovid” by Vienna-born composer Martin Reiter. It’s a jewel of a piece, steeped in an innocence that fades into a chain of unresolved statements. And in “Eclipse” (by Dominic Miller, an English guitarist born in Argentina), Boros bonds every color change to an overarching spectrum of song-like paths. Furthest afield, geographically speaking, is the tender slice of contrast that is Ralph Towner’s “Green and Golden,” which despite the title is more about texture than color. Its lines curl ever inward, each a strand of physical synaesthesia. Towner’s braids make fine company for the muted spirals of “Te vas milonga” by Argentine composer Abel Fleury and the Brazilian standard “Se ela perguntar” by Dilermando Reis. Freshened in the acoustics of the Lugano studio, each forms, along with the engineering brilliance of Stefano Amerio and Boros’s obvious humility, an artisanal triangulation of effort to liberate an unadulterated spirit. One can hardly forget in the longer pieces the distinctly shaded lyricism of Spanish composer Francisco Calleja’s “Canción triste.” The beauty thereof lies not only in the tune but also its feeling of history. It’s as if the composer had been waiting with his guitar beneath a storm cloud so that he might catch the music in the sound hole and grow it like a plant. Although the combination of production and performance is fine throughout, here especially one notices an immediate genius as Boros and the Amerio/Eicher team emphasize the warmth of the guitar’s lower end and the clarity of its upper registers in mutual separation. A meditative rubato glow gives this piece a generative character that pours from the fingers. Also pouring from the fingers are the cascades of “Callejón de la luna.” Written by Spanish composer Vicente Amigo, this piece sails the vessel of its flamenco inspirations toward wider waters: a story of lovers circling the earth until they meet again. Flamenco touches echo also in “Cielo abierto” by Argentine composer Quique Sinesi, but in even more refracted form. For while the percussive acuity and variation of technical flourish makes this a standout for its substantive atmospheres and melodic robustness, its brilliance is to be found more so in its balance of sinking and floating. The album’s heart beats through Brouwer’s “Un dia de novembre,” which clarifies an uncommon gift for narrative. Brouwer is a master storyteller, and at these fingertips his characters come to life in tangible ways. At one point, Boros leads a rhetorical shift into more rolling motifs with the insistence of a single note. That she does this with such lack of force speaks to the sanctity of her relationship with the guitar. A variation of the same track ends album in somber skies, but beyond them an assurance brought only by dreams that the dawn will bring with it a feeling of return.